Savannah, Georgia, is known for its quaint neighborhoods. Each section of the city is put into a distinct district, and each district offers something new and exciting to explore. You could spend days wandering around amongst historic homes, manicured parks, boutiques, and all the other things that make our city unique! For an overview of our city, access our complimentary Vacation Guide today. If you want to see classic Savannah, head to the Historic District. The Savannah Historic District’s allure pulls you in the moment you arrive. The cobblestone streets, magnificent gardens, inspiring architecture, and oak-shaded parks draped in Spanish moss create a romantic, almost magical feel to this portion of the southern city. 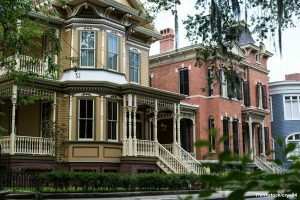 Whether you are looking to learn about Savannah’s unique history or find some memorabilia at a boutique, Savannah Historic District has it all. Spend a day learning, shopping, and touring in the largest National Historic Landmark District in the U.S.! The buildings in Savannah’s historic district have survived war, fires, and demolition over the years, and today, many have been converted into museums, restaurants, or inns and are open to the public. Of course, this is one of our favorite neighborhoods in Savannah. Presidents’ Quarters Inn is located in the heart of the Historic District; our own building was built back in 1855. 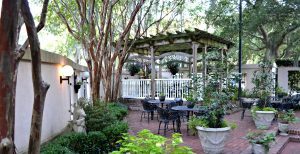 Our gorgeous courtyard is an ode to the past; you can see Spanish moss hanging from the trees. Many of our guests have expressed that they feel like they have stepped back in time as soon as they arrive on our property! The best way to start off a Savannah vacation is to take one of the many Historic Savannah Tours. Dive into Savannah’s rich history with a variety of narrated excursions. 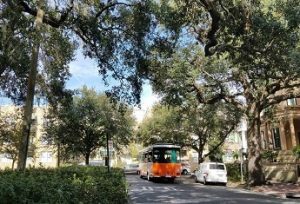 For visitors short on time or are just looking for a quick overview, the Express Trolley Tour or Savannah Stroll Walking Tour give you a glimpse into what Savannah’s history entails. If you have a lot of time, you can spend the entire day exploring the Savannah Historic District by traveling to the trolley’s 15 stops. The area includes more than 20 city squares filled with museums, mansions, churches, monuments, and famous forts of the Revolutionary and Civil War era. There are 22 park squares in the Historic District, and they are just moments away from Presidents’ Quarters Inn. Oglethorpe Square is right across the street from our cozy inn! These squares are an excellent way to enjoy some fresh air. Walk around and see the monuments and gardens, or sit on a bench and people watch or read a good book. The Savannah Historic District is filled with unique shops, boutiques, and galleries perfect to find some unique memorabilia for your visit. You could spend an entire day on the historic and famous River Street. The street was abandoned in the 1800s but has since been restored into the beauty that it is today. You can find just about anything in the quaint shops, galleries, and restaurants that line the cobblestone road. The City Market is four blocks of open-air market. The market was originally founded in the 1700s as a place to sell seafood and horses. Today, its renovated warehouses are home to shops selling goods like fine art, accessories, hand-crafted jewelry, Savannah candy, and more. Take a step back in time as you stroll through the historic City Market. Some of the best restaurants in Savannah are located in the Savannah Historic District. Savannah itself has earned a reputation as having some of the best dining options in the South. Discover unique flavors with a blend of traditional and contemporary dishes. With countless eateries around, you are sure to find plenty of options. 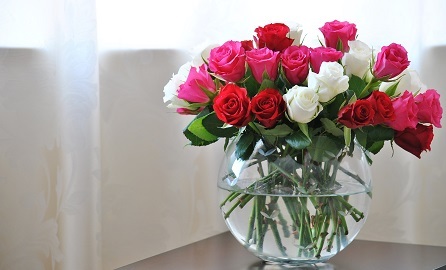 Ask us our favorites; we are always happy to recommend some! When it comes to beautiful destinations, no place compares to Savannah, GA. You’ll find historic monuments, antebellum mansions, gothic churches, and beautiful parks and squares everywhere you turn. If you would like to view some of the finest architecture in the South, visit the Victorian District. This neighborhood in Savannah is made up of 50 blocks and was once Savannah’s first suburb. Spend some time taking in all the gorgeous architecture of the homes that were built in the 1800s. Keep an eye out for turrets, towers, bay windows, decorative trim, and whimsical colors. A 30-acre park adds to the charm of the Savannah Victorian District. Forsyth Park provides a wide range of walking trails and paths, contains a play area for children, tennis courts, and basketball courts. It also contains a famous and unique cast iron fountain. Both locals and visitors frequent the park to sit on its benches and enjoy the fresh air. A farmer’s market takes place every Saturday as well as concerts periodically throughout the season. 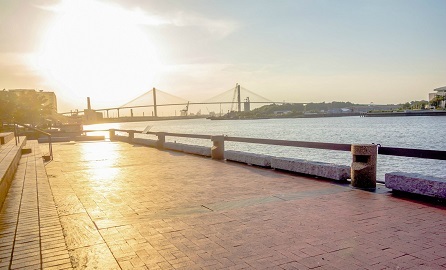 Bask in Savannah’s sunlight as you take a stroll through this historical landmark! As you stroll along the quiet streets, you’ll feel like you have time traveled to a previous era. You’ll find century-old brick mansions, Queen Anne homes, craftsman cottages, and winding oak trees draped in Spanish moss throughout. Gingerbread trim and beautiful stained glass windows are just a few of the details that make these Savannah Victorian houses so unique. Old Savannah Tours: This locally owned and operated company has been voted “Best Tour” every year since 2003. An excursion with Old Savannah Tours is an experience you won’t soon forget. As you take in the incredible sights, you can enjoy detailed descriptions, stories, and re-enactments of General James Oglethorpe and Forrest Gump. 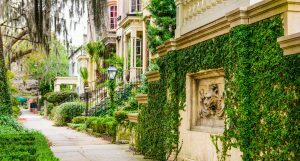 Savannah Walking Tours: Walking along our city’s cobblestone streets is a great way to get a glimpse into Savannah’s past. There are many Savannah Walking Tours to choose from, but each will give you an up-close look at our beautiful city. 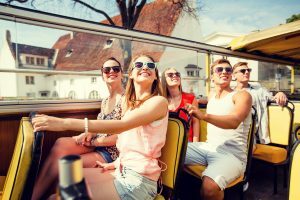 Savannah Trolley Tours: If you want to take in all of the sights in a shorter amount of time, Savannah Trolley Tours are the way to go! A few of our favorite Trolley Tour companies are Old Savannah Tours and Oglethorpe Tours. The Savannah College of Art and Design has had a huge impact on our city, especially in the Starland District. 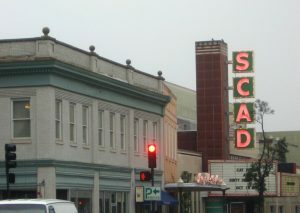 The Starland District was created in the 1990s by two SCAD students! Here, you’ll find everything typical of an art school; you can explore funky shops and galleries that are full of unique goods you won’t find anywhere else. Add to your vinyl collection, get a new piece of art for your home, and end the day in a quirky cafe. There are tons of galleries with great vibes in the Starland District. See an eclectic mix of art when you pop in and out of these galleries. Let it inspire you! We recommend heading to a spot like Sulfur Studios. This collaborative art space gives artists their own studios to work in, and there is a gallery full of their works for you to enjoy. If you love searching for the perfect souvenir to remember your trip by, you’ll have a blast in the Starland District. Find fun art, vintage clothing, and unique goods you won’t find anywhere else. These small shops are carefully curated and locally owned, so you never know what you’ll find. The amazing food Savannah is known for doesn’t stop in the Starland District! Delicious cuisine, innovation, and even art combine in many of these eateries. Foxy Loxy Cafe has it all; enjoy a coffee or order off their menu full of Tex-Mex fare. Plus, great art is displayed here! There’s more to Savannah than cobblestone streets and history-filled squares! See the beauty of the South when you visit the Moon River District. Experience stunning salt marshes and a maritime forest while you learn about the Gullah-Geechee Oystering Community. This district is just 20 minutes outside of downtown, so you can easily come and learn all about Savannah’s ecosystem and Gullah-Geechee culture. 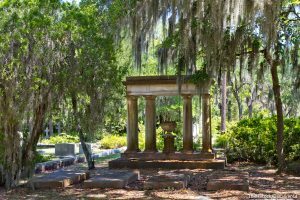 Located on the banks of the Wilmington River, the Bonaventure Cemetery is the largest cemetery in Savannah. Thousands of people visit this cemetery to see the gorgeous moss-draped oaks and ancient headstones. As the final resting place of beloved Savannah residents such as military generals and poets, many wonder if it is haunted. Located in a refurbished crab and oyster factory, the Pin Point Heritage Museum will teach you everything you need to know about the Gullah-Geechee culture of the South. Founded in 1896 by a freedman, this community was once isolated. Now, you can learn all about it from the residents that grew up there. The Skidaway Island State Park is 588 acres of southern beauty! If you need some fresh air during your stay at Presidents’ Quarters Inn, head here. There are miles of trails to walk, and you’ll probably even see some wildlife while you’re there. Eventually, the trails will lead you to a gorgeous boardwalk that stretches into the salt marsh. Savannah has enough activities of its own to keep you busy, but Tybee Island is a favorite of both locals and visitors alike. This beach town is located about a half hour outside the city, and its laid back island vibes make it the perfect place to go relax. You can walk the beach hand-in-hand with your sweetheart or visit one of the monuments or museums. Of course, you’ll want to go to the beach if you’re on an island! On a hot summer day, you can work on your tan. Otherwise, it is fun to walk on the sand at any time of the year. You can get in the water to cool down; it’s the perfect way to spend one of the hot days the South is famous for. 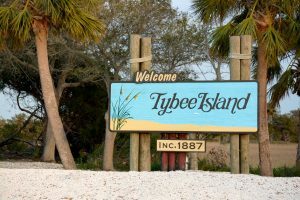 There’s so much to explore on Tybee Island! You can go on a dolphin tour to see the island from the water and view the sea creatures from the comfort of a boat. There’s something magical about seeing the dolphins pop in and out of the waves! Did you know that the Tybee Island Light is Georgia’s oldest and tallest lighthouse? Climb up the 178 steps to see the amazing views. Then, you can visit the museum across the street to learn all about its past and how it got boats to safety. 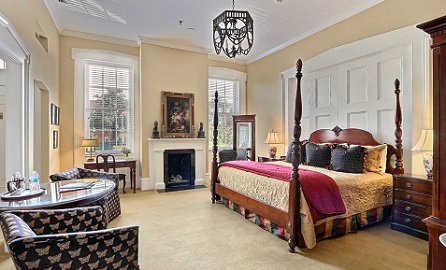 Be in the center of all the neighborhoods in Savannah when you stay with us at Presidents’ Quarters Inn. Located in the heart of the Historic District, we are within walking distance from countless activities. If you need to drive, that’s not a problem! We are one of the only hotels with complimentary onsite parking in our area. Browse our accommodations to start planning your stay. 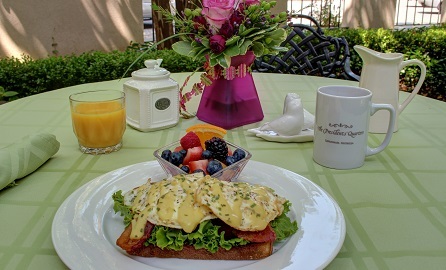 You’ll be treated to our outstanding amenities including a delicious breakfast each morning to start your day off right. Your Savannah adventures await!